This combination of file pictures created on Nov. 22, 2018 shows, former U.S. attorney general Loretta Lynch and former FBI director James Comey. The House Judiciary Committee has issued subpoenas for James Comey, the former FBI director, and Loretta Lynch, the former attorney general, as part of an investigation into their handling of inquiries into Hillary Clinton’s e-mail server and possible ties between the Trump campaign and Russia. The subpoenas, issued Wednesday by Rep. Robert W. Goodlatte, R-Va., the committee’s chairman, require Comey and Lynch to appear in closed-door sessions with members of Goodlatte’s committee and the Oversight and Government Reform Committee. Comey has been called to appear on Dec. 3, and Lynch a day later. 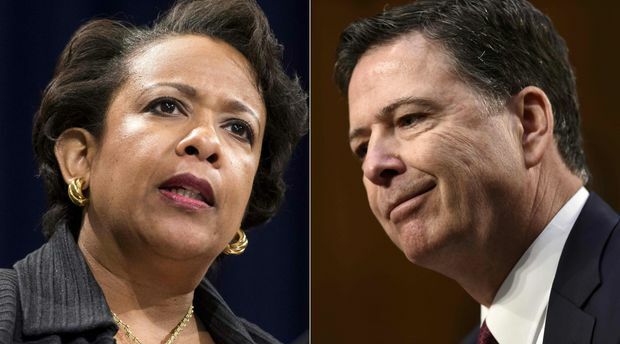 Several Republicans have said they believe that Comey and Lynch were part of a deeply rooted bias within the FBI and the Justice Department that allowed Clinton to escape prosecution for her use of a private e-mail server during her time as secretary of state. The Republicans have also alleged impropriety in the origins of the investigation into the Trump campaign’s connections to Russia. With Democrats seizing the majority in the House in the midterm elections – and preparing their own wave of subpoenas against Trump administration officials – House Republicans have a short window to press their case against Comey and Lynch. Earlier this year, a Justice Department inspector general’s report found that Comey had been “insubordinate” when he announced that the FBI would not recommend that charges be brought against Clinton. The inspector general, Michael E. Horowitz, also found fault with Lynch’s decision to meet with former President Bill Clinton on an airport tarmac. But Horowitz did not challenge the outcome of the Clinton investigation or find any of evidence of bias.